The only way to be happy in Life is to decide to be happy – no matter what! Had we been exposed to these truisms about Life, as much as we have been introduced to Math, Science, History, Geography and the languages, perhaps, we would have been better prepared for Life. Nevertheless, it is not too late either. You can make a beginning now by deciding to be happy! Once you make that decision, make sure nothing comes in its way. You are standing on the threshold of happiness, knocking on the door to open. 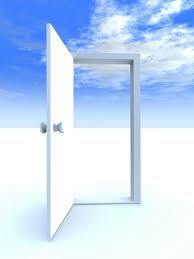 After much knocking you will realize, much to your amazement, that the door was always open. All you had to do was to DECIDE to push it, than keep knocking on it, for you to enter the kingdom of happiness. This is what you are doing with your Life too. You are choosing NOT to be happy. Being happy means being so despite your circumstances. But you choose to stand on that threshold and hope that your circumstance will change and THEN you will be happy. How will you? If you can’t be happy with what you have, with what is, with what you can see, with your present, what are the chances you will be happy with what you may get, in a future that you can’t see yet? So, stop running from pillar to post, stop the procrastination, stop knocking, just decide. Your one decision can change your Life!